You can use these worksheets at home or in class to give kids a few more fun activities to do beyond just reading the poems. By answering questions, writing, and even unscrambling words, kids will get a little more practice to help improve their comprehension and literacy. A huge thank you to Primary Leap for creating a number of these wonderful activity worksheets! Visit their website for thousands more printable activity worksheets for kids organized by grade level and subject. Here are direct links to the activity worksheets I’ve posted so far. Enjoy! During the past few months, since becoming the Children’s Poet Laureate, I have been hard at work on a new project: A brand new website called PoetryMinute.org, and I would like to tell you about it so you can start using it in your classrooms. Over the years that I have been reading and writing children’s poems, I have noticed that many, possibly most, poems written for children can be read in an average of about one minute. Because of this, I have always encouraged teachers to share a poem with their students every day. It only takes a minute of the entire school day, and yet it gives students a break from their routine in a way that also encourages them to want to read and write, and improves their fluency and literacy. I call this a “Poetry Minute.” It’s one minute out of your school day for poetry. And now it’s easier than ever. I’m pleased to announce my newest book, Kiss, Kiss Good Night is now available. This is my first book for babies and toddlers, and also my first bedtime book. 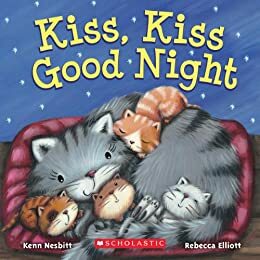 Kiss, Kiss Good Night is a large (9-inch square) “board book” with a soft, squishy cover, rounded corners, and sturdy, baby-proof pages, so your little one can hold the book and turn the pages safely without damaging it. This charming bedtime book tells the story of how baby animals go to be each night. What happens when they need to rest their little heads? Their mothers tuck them into bed, of course! Read along as baby bunnies, lambs, chicks, kittens, and cubs settle down for a good night’s sleep while their mommies give them nuzzles, cuddles, and good-night kisses! A lulling, soothing bedtime poem perfect for getting little ones to settle down. Their mothers kiss them on the head. They close their eyes and fall alseep. I had the pleasure of being interviewed by an alien this week. And not just any alien. I was interviewed on the blog Bigfoot Reads by Morzant, an alien who has been studying earth literature, and who is good friends with Bigfoot and a number of other cryptids. Bigfoot Reads is one of the most fun children’s literature blogs you will ever come across. The blog posts are written by a crazy cast of characters that includes Violet the Telekinetic Puppy, Norman and Beverly the Half-Invisible Turtles, Penny C. Monster, and many others. Each of them has their own unique personality and laundry list of idiosyncrasies, as you can see from this review of MORE BEARS! written in 2011 by Violet the Telekinetic Puppy. Today’s interview by Morzant the Alien is easily the most fun interview I’ve done. As you read the interview, you may notice that Morzant is a scientist who is particularly interested in studying Earth literature. He is also interested in snails the tensile properties of Rice Krispie Treats. Occasionally, Norman the Half-Invisible Turtle will tell him something outrageous (such as that the Children’s Poet Laureate award is bestowed on the winner of an arm-wrestling contest). Morzant is somewhat gullible, and usually believes Norman. 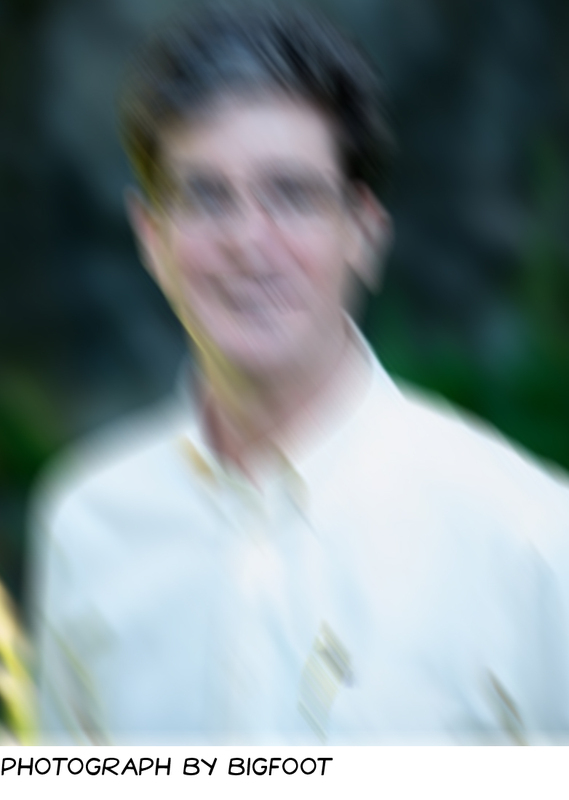 My photograph for the interview was taken by Bigfoot himself. Bigfoot tries, but he’s not much of a photographer, so his pictures usually end up blurry. I hope you’ll take the time to read the interview and explore Bigfoot Reads for more fun author interviews and children’s book reviews and recommendations. The Miss Rumphius Effect challenges readers to write a Tanka, a Japanese form of poetry that has been practiced for over 1000 years. NPR this week published a list of the 100 must-read books for kids aged 9-14. The one poetry book on the list is Thanhha Lai’s Inside Out & Back Again, a novel in verse about a young girl who leaves Vietnam with her mother and brothers at the end of the Vietnam war to resettle in Alabama. Children’s writer Elli Woollard posted a few silly nursery rhymes here and here and a wonderful, more serious poem on her blog, Taking Words for a Stroll. Sylvia Vardell posted a “back to school” poem called “Underwear Scare” by new poet Terry Webb Harshman, along with a list of Poetry Books for Children About School on her blog Poetry for Children. Renee LaTulippe hosted the Poetry Friday Roundup, including a first draft of her poem “The Boat,” on her blog No Water River. M.M. Socks posted a new poem called “Gorilla in a Kid Costume” on his blog The Drawer of M.M. Socks. Amy Ludwig VanDerwater posted a new poem called “Mittens and Friends” on her blog The Poem Farm. Poet Eric Ode’s newest book The Boy and the Dragon is now available for pre-order on Amazon.com.